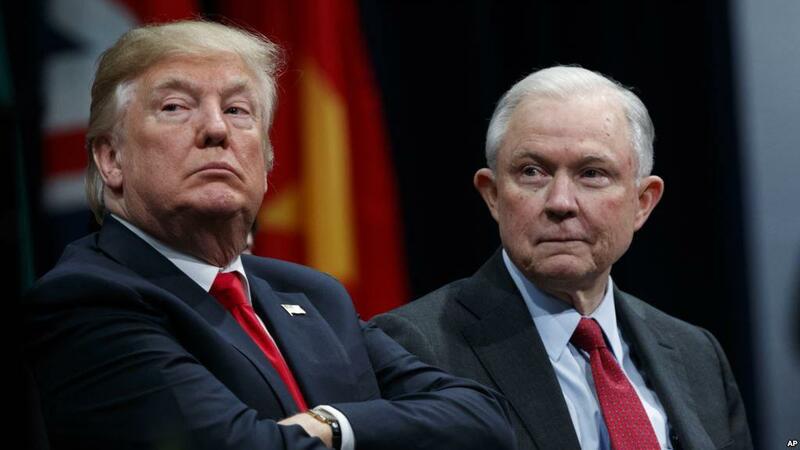 WASHINGTON, Nov. 7 (Xinhua) -- U.S. President Donald Trump tweeted Wednesday that Attorney General Jeff Sessions' chief of staff, Matthew Whitaker, will be acting attorney general. Sessions announced his resignation in a letter to Trump, saying that the resignation came "at your request." "We are pleased to announce that Matthew G. Whitaker, Chief of Staff to Attorney General Jeff Sessions at the Department of Justice, will become our new Acting Attorney General of the United States," Trump tweeted. "We thank Attorney General Jeff Sessions for his service, and wish him well! A permanent replacement will be nominated at a later date," Trump said in a Twitter post. U.S. media reported that Trump had asked White House Chief of Staff John Kelly to ask Sessions to resign, prompting Sessions to submit the letter. In the letter Sessions said he had been "honored... to implement the law enforcement agenda based on the rule of law that formed a central part" of the Trump campaign for presidency. The move took place shortly after a press conference Trump gave at the White House during which he said Sessions' fate was under consideration. It marked the first cabinet member exit from the Trump administration after the midterm elections, which ended late Tuesday. Trump's decision to remove Sessions attracted criticisms from the Democratic Party. Nancy Pelosi, presumed to become the next speaker of the house, said ousting Sessions can only be read as "another blatant attempt.. to undermine & end Special Counsel Mueller's investigation." Pelosi also called on Whitaker to recuse himself from any involvement in Robert Mueller's investigation. Sessions, a former Senator from Alabama, has been a staunch Trump supporter since early stages of the 2016 presidential campaign, and was one of the first nominated to the Trump cabinet. Sessions' relationship with Trump soured after he recused himself from the investigation into potential coordination between Trump's campaign and Russia, which prompted the appointment of Mueller as special counsel to lead the probe.